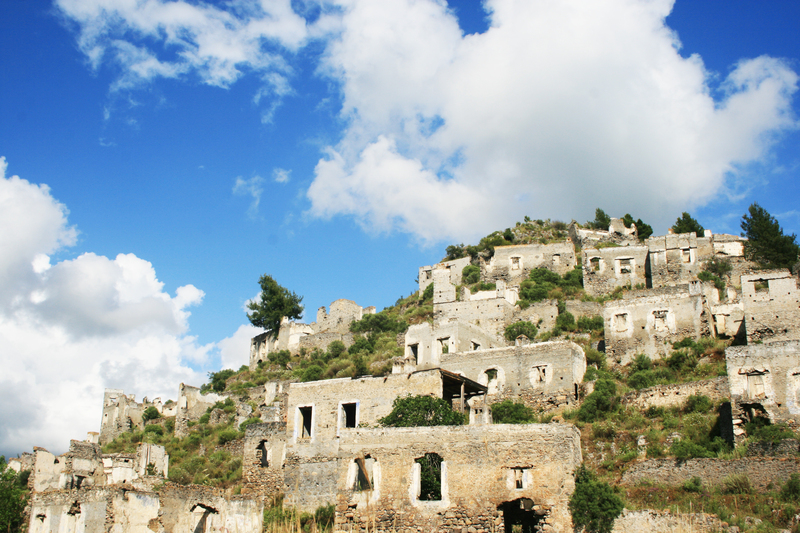 Nearly eight kilometers away from Fethiye lies the deserted ghost town of Kayakoy, which up to 1923 was the home of Greek Christians. After nationalistic feelings rose after World War I, the Greek population was forced to leave in a population exchange with Greece where Turks lived. Still to this day, the site is a haunting reminder of a sad chapter in Turkey’s modern history. Enjoy more Fethiye Turkey travel photography (travel photos).